Lawmakers in Oregon and Washington state are scrambling to pass new vaccination laws as a swiftly spreading measles outbreak rages in Washington’s Clark County, a hotbed of anti-vaccine sentiment just north of Portland, Oregon. New bills aim to eliminate personal and philosophical exemptions for standard life-saving vaccines in schoolchildren—exemptions that have fueled such outbreaks and allowed once-bygone infectious diseases to come roaring back in the United States. But as the lawmakers work to craft their new bills, they may do well to keep a close eye on their counterparts in California, who are now realizing the pitfalls of such laws—and debating how to avoid them. Since California banned non-medical vaccine waivers three years ago, the number of children with medical exemptions in the state has tripled. The medical exemption rate rose from 0.2 percent to 0.7 percent statewide. While California’s overall vaccination level increased two percent, there are still small pockets where vaccination rates are low. The boom in medical exemptions has left some counties’ vaccinations rates below the threshold necessary to keep diseases, such as measles, from spreading. Researchers and health officials largely blame unscrupulous doctors for the problem. Some doctors have been found to loosely write exemptions for families trying to skirt vaccination requirements due to fear-mongering and misinformation spread from anti-vaccine advocates. Officials have even complained of doctors charging fees for handing out medical exemptions. “We delegated that authority to licensed physicians, and the problem is we have physicians abusing that authority,” Democratic state Sen. Richard Pan told CALmatters.org, a nonprofit media venture. Pan is a Sacramento-area pediatrician who wrote the state’s ban on personal waivers in the wake of the 2015 measles outbreak linked to Disneyland that sickened 147. He is now working with medical organizations to come up with new legislation to crack down on the phony medical exemptions. “I think we need the health departments to basically say when someone is abusing [their] authority—and to withdraw that authority and invalidate exemptions that were fraudulent,” Pan said. Other ideas being discussed in the state include having state officials collect data on doctors who grant medical exemptions, as well as creating a review process for those exemptions, according to CALmatters. The discussion is likely worth following for lawmakers in Washington and Oregon. Washington’s Clark County—just north of the border from Portland, Oregon—is a hotbed for anti-vaccine sentiment and is currently the epicenter of a raging measles outbreak. 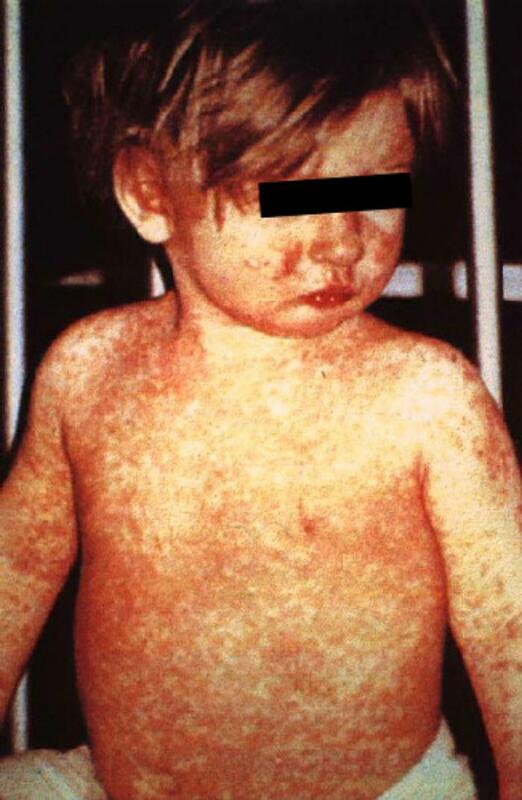 As of February 10, Clark County tallied 53 confirmed and two suspected measles cases since the start of the year. As of February 7, Oregon has reported four confirmed cases linked to the outbreak. In Oregon, about one in five schools have vaccination rates below a protective 93 percent, and about 15,500 school children have non-medical exemptions, according to state records reported by The Oregonian. State Rep. Mitch Greenlick (D-Portland) is now working up legislation to wipe out the state’s personal vaccination exemptions. The planned bill will likely meet strong opposition. Similar legislation was struck down in 2015 amid protests from anti-vaccine advocates. Greenlick said he would not be deterred this time. Likewise, Washington state Rep. Paul Harris, a Republican who represents Clark County, is now editing proposed legislation that would eliminate personal exemptions, leaving medical exemptions and tightly regulated religious exemptions, according to the Post. In a public hearing Friday, Washington state’s health secretary, John Wiesman, extolled the safety and efficacy of vaccines while debunking common anti-vaccine bunkum such as the noxious, long-discredited notion that vaccines cause autism. He urged lawmakers to scrap personal exemptions. “In states with tighter exemption laws, there is less suffering, fewer hospitalizations, and more deaths averted [from preventable diseases],” he said. But, as in Oregon, the bill will hit firm opposition from vocal anti-vaccine advocates, who packed Friday’s hearing and murmured disapproval as Dr. Wiesman provided factual information about vaccine safety. One advocate told Post reporters that, if the legislation passes, vaccine opponents would “move out of the state or go underground, but they will not comply.” Another, Nicole Wilson, 32, who is pregnant and against vaccinations, said she, too, is considering moving if the bill passes.